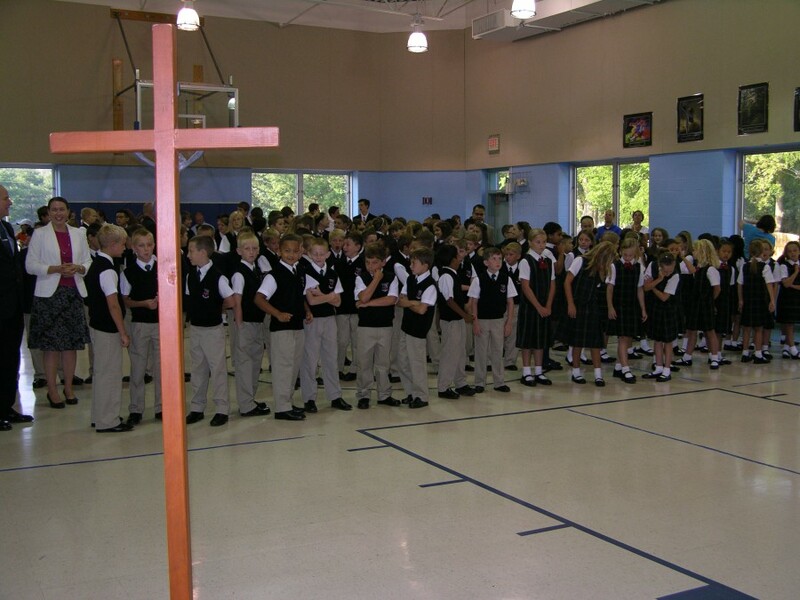 Royalmont Academy is a 501(c)(3) organization under the Internal Revenue Code. Your gift is tax-deductible up to the limit set by law. Donations can be mailed, hand delivered or made online. We gratefully accept cash, checks, or credit cards.​ Please consider that many corporations recognize and are willing to support private education through a matching gift program. Your employer can advise you if your company will match your gift, sometimes as much as two or three times your contribution. ​Thank you so much for your generosity and continued support of our school. Help us advertise! Consider a $6 donation to get a really nice car RA magnet. Decals are available for $4. Click the magnet and let us know how many you would like. Please consider supporting Royalmont Academy by signing up for the Kroger Rewards Program. Re-register your card each April. Please consider supporting Royalmont Academy by signing up for the Amazon Smile Program. Please consider supporting Royalmont Academy by signing up for the Coca-Cola: My Coke Rewards Program. ​The Annual Fund provides vital support for the daily operations of the school. This fund allows the school to respond to immediate needs and make improvements that directly benefit students on a daily basis. Voluntary financial support is a primary indicator of a school’s health. Giving to Royalmont Academy's Annual Fund is an important way for families and benefactors to show support for RA each year. The Annual Fund runs from July 1st to June 30th each year. Gifts to the Annual Fund are used in the school year in which they are given. The annual Fall Banquet is held each year in November. A fun faith-filled night for all in attendance, the spotlight focuses on our students achievements, the role our school plays in their formation and the opportunity to raise funds for the Charles Argento Tuition Assistance Fund. This is an excellent way for prospective families to get an up-close look at the school in a wonderful social atmosphere. Meet with current families and hear from current students grades Kindergarten through High School about why Royalmont Academy has made an impact in their lives. The evening includes a cocktail hour, dinner, Royalmont student speakers and a keynote speaker. Past featured speakers include: Dr. Bill Thierfelder, Dr. Meg Meeker, Dr. Ray Guarendi, Fr. Jonathan Morris, Al Kresta, Gerry Faust and Fr. Kevin McKenzie and Deacon Ralph Poyo. The Spring Gala is held each year in March at the Manor House in Mason, Ohio. A fun-filled evening is a major fundraiser for the school historically raising over $100,000. The evening includes a silent auction, live auction, cocktail hour, dinner, and dancing.